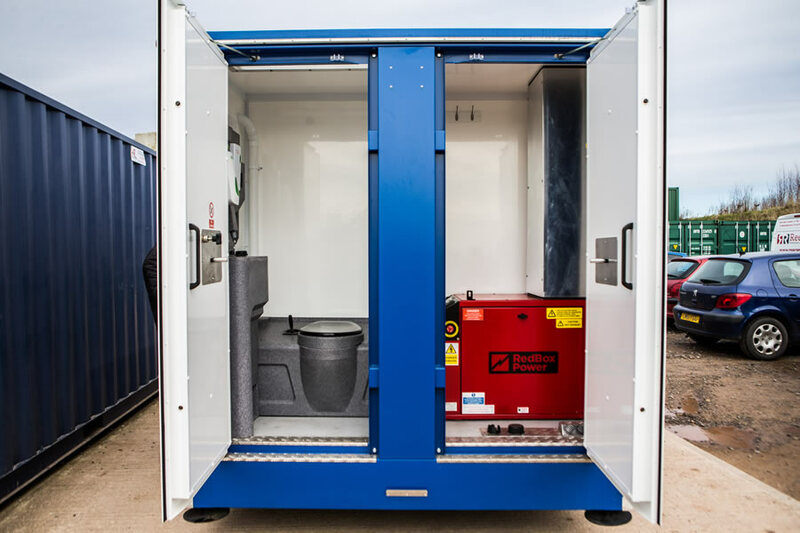 At ReeceR Group we have a wide range of units to meet your requirements, you can out more by clicking on the links below or scrolling down the page. 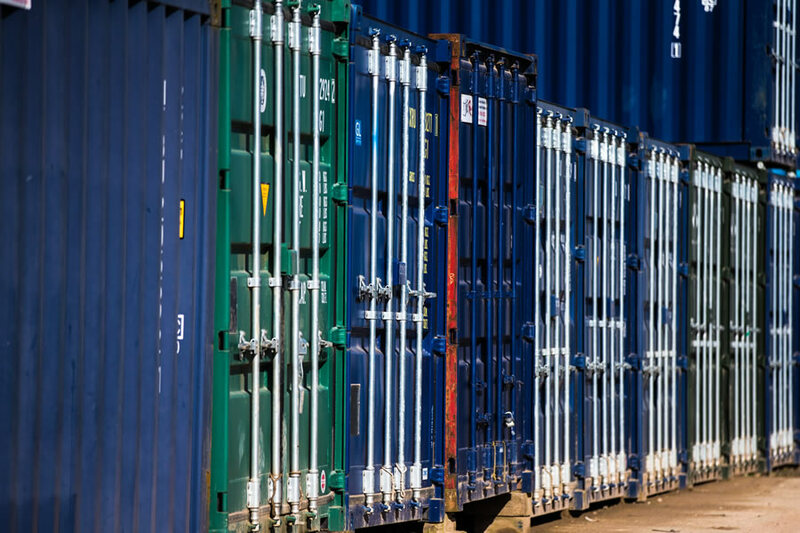 Take a look at our available stock here, or get in touch with the team to talk about your individual needs. 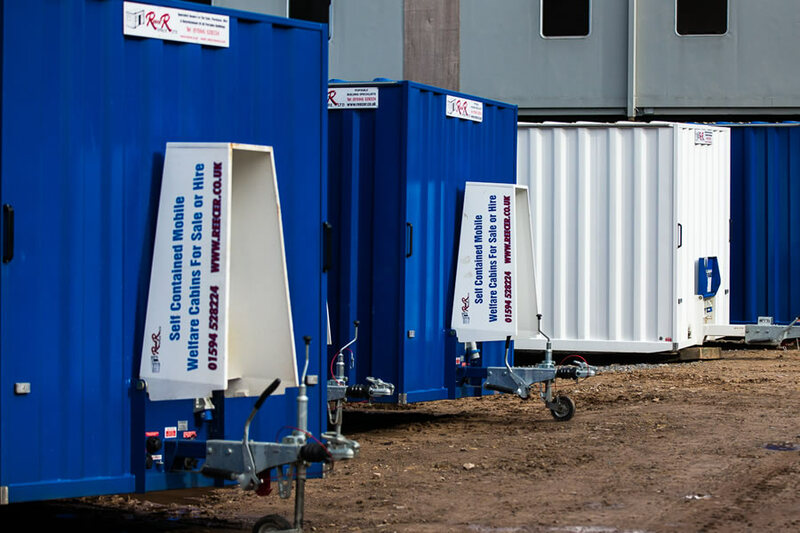 Whether it is a new build or refurbished unit, ReeceR group have a solution for your site. 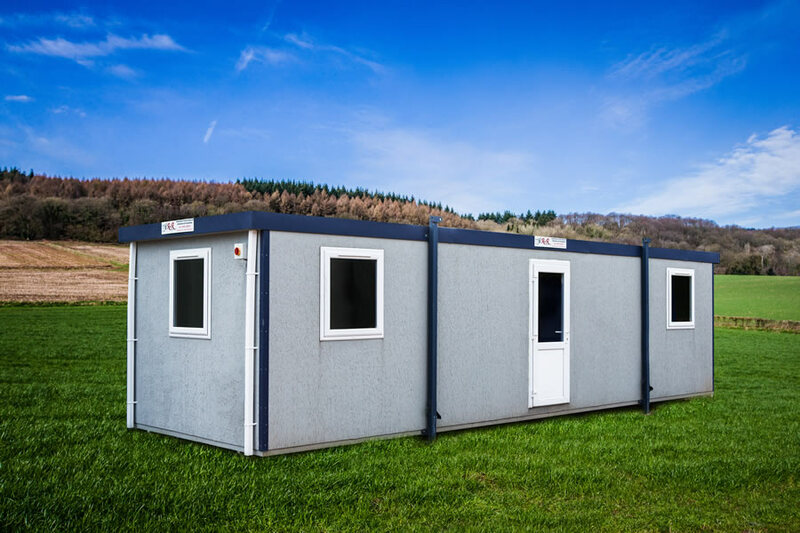 Offering a convenient and cost effective solution, jacklegs are commonly used as sales suites, retail outlets, offices, WC blocks, shower/changing rooms, canteens and catering cabins. Using their jacklegs to level, they are ideal for use on undulating ground and can be easily linked to existing buildings and double stacked as a space saving alternative. 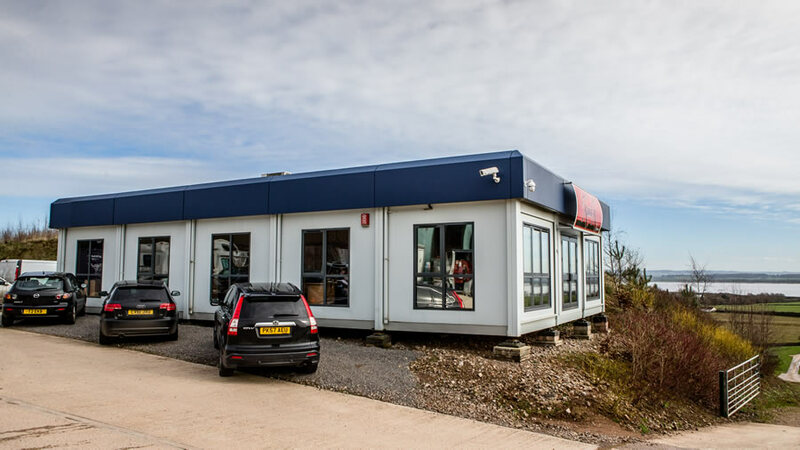 They are externally finished in either plastisol steel or texture coating, but if you require a finish more sympathetic to a rural area, you can choose cladding. 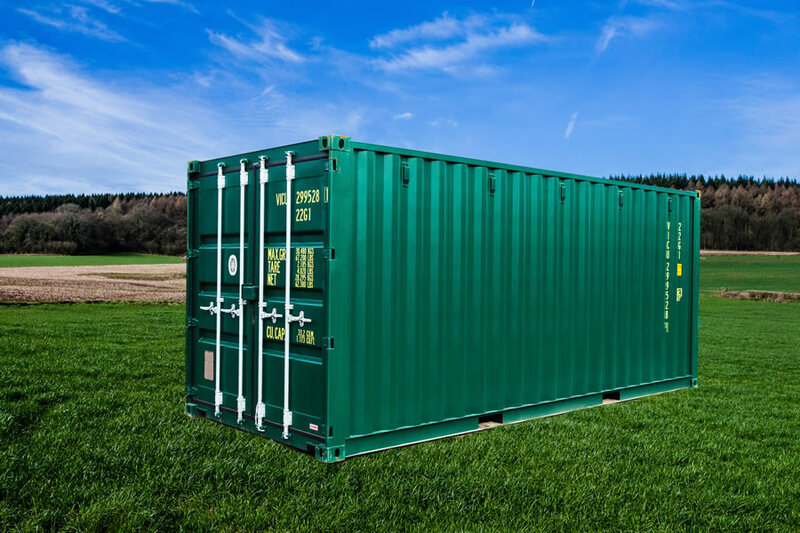 These units are a very durable, low maintenance option for unsecured sites and premises, such as construction areas. 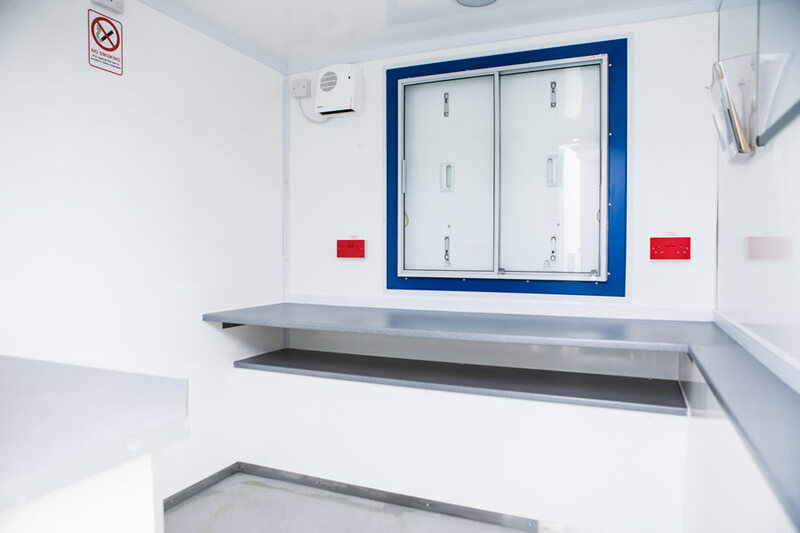 Anti-Vandal units have flat or profiled steel exteriors, single or double-glazed windows with security shutters or guards and multi point locking systems to ensure resistance to vandalism or theft. 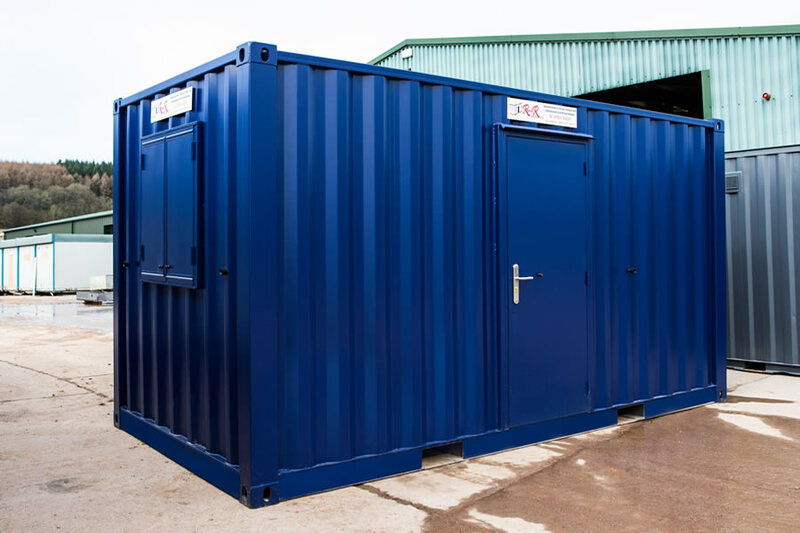 These safe and secure units can be supplied fully furnished and painted in corporate colour to suit specific requirements. 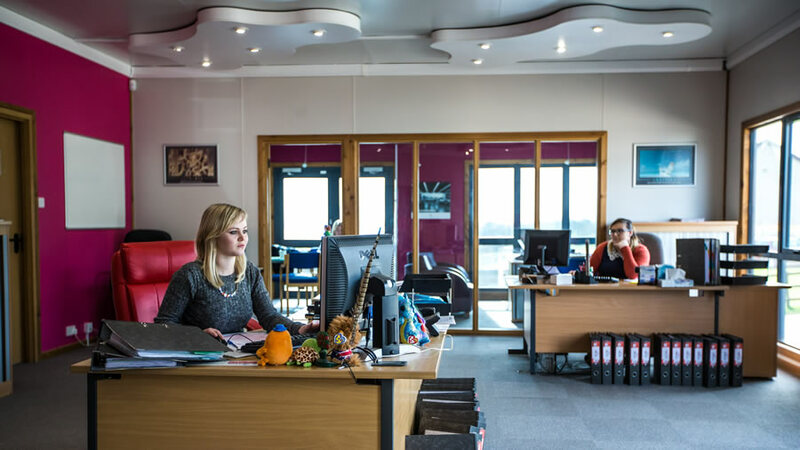 Anything is achievable – we can build it to your personal specification and requirements. 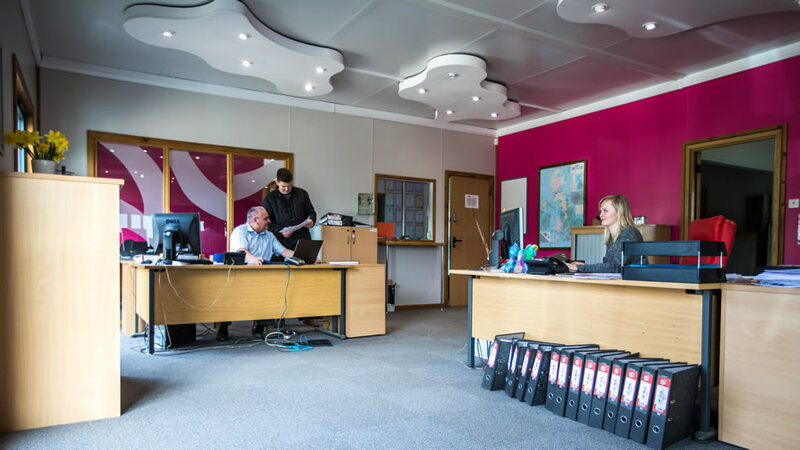 You design it, we build it! 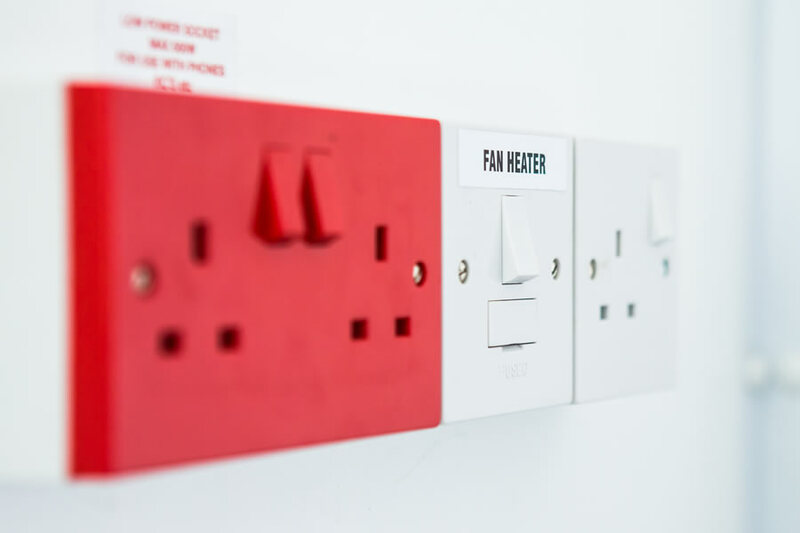 Commonly utilised for Business Centres, Commercial Offices, Classrooms, Training Venues, Restaurants, Kitchens, Sports and Social Clubs and Welfare Facilities. 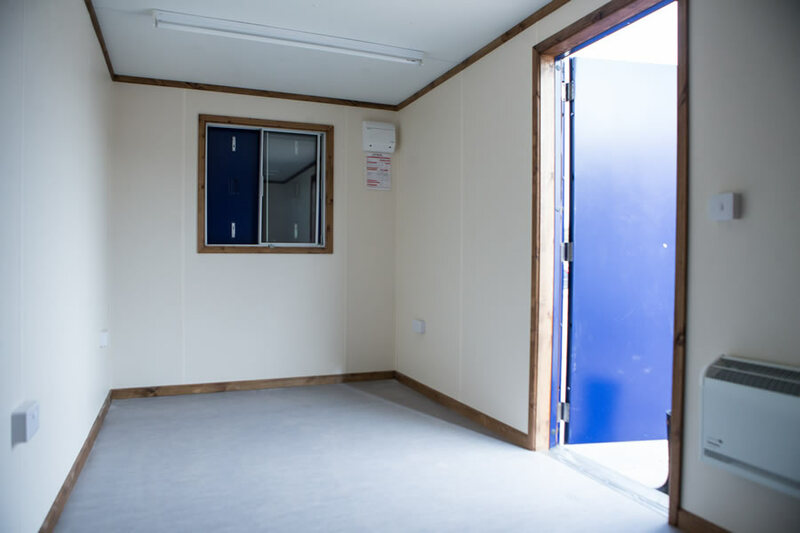 We have a range of modular buildings to standard and bespoke designs to suit most needs. 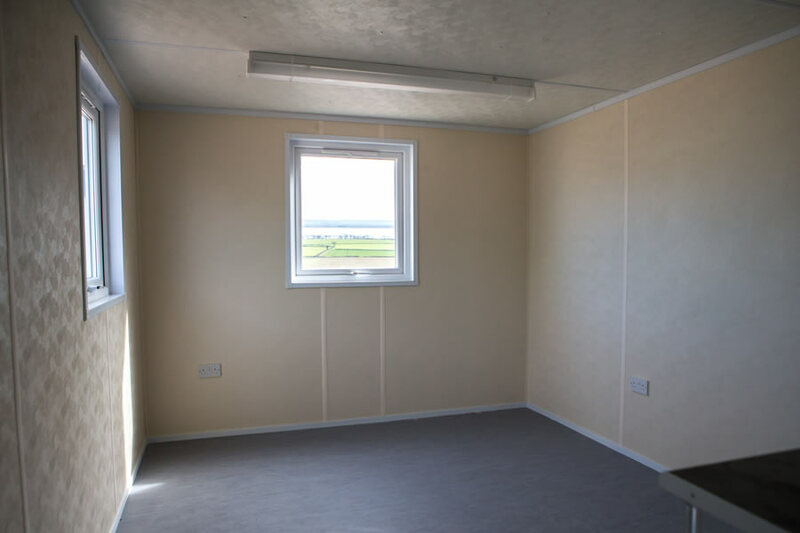 We can also refurbish modulars to fit any footprint and comply with regulatory standards. 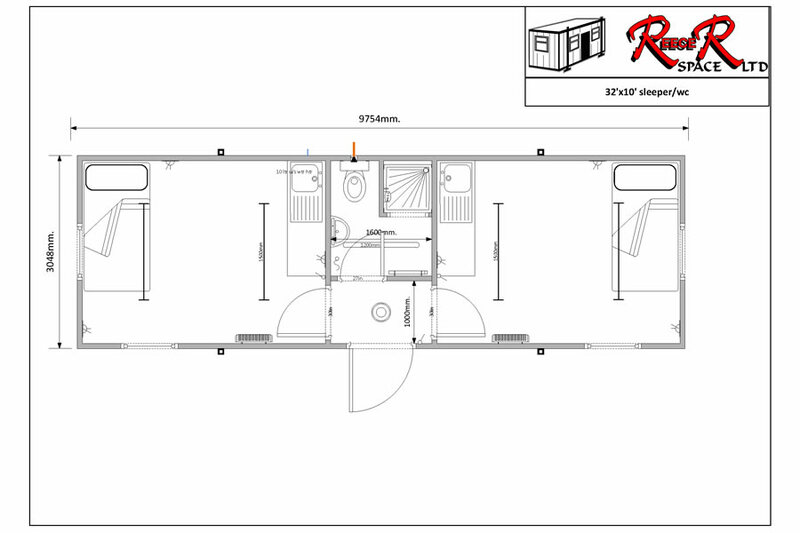 In addition, we offer a bespoke design service, so ask for a detailed floor plan of your modular requirements today. 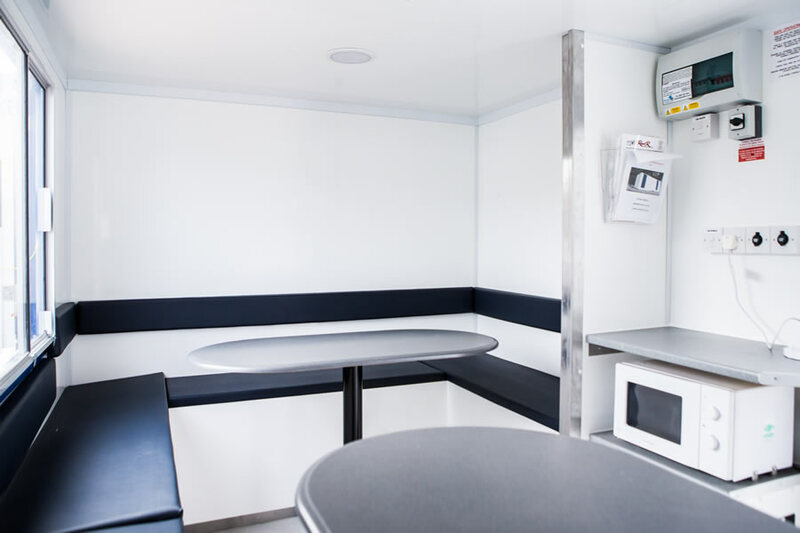 Let your employees or customers rest assured in these robust instant sleeping facilities. 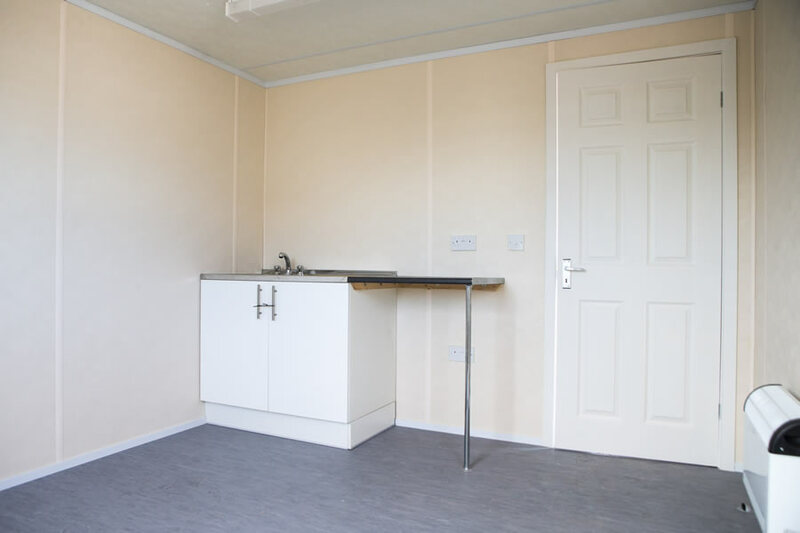 All Sleeping Accommodation units come complete with bedroom/living area and WC/shower facility, with optional extras to choose from such as furniture, additional WC facilities, external painting, a choice of floor coverings and lighting and a variety of doors and windows. Ask for your corporate colours - it can be done! 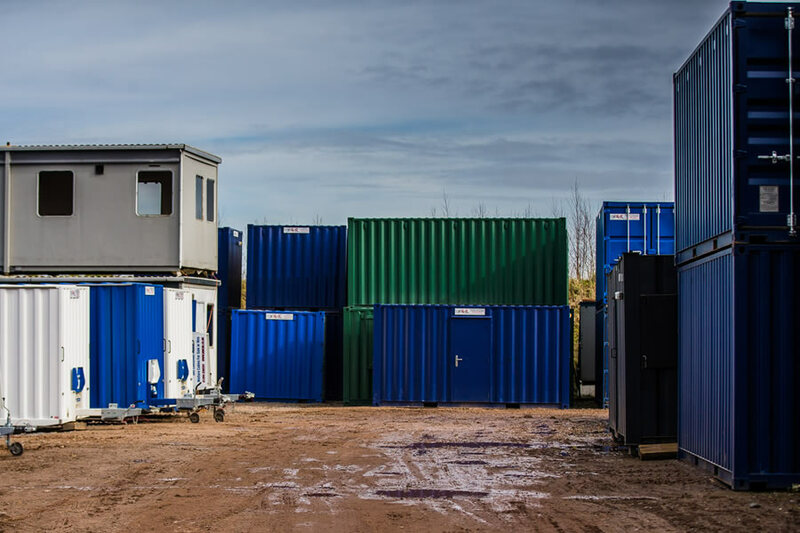 Ideal for a multi-site project with restricted access, mobile and towable units offer clients the flexibility to easily move from site to site. 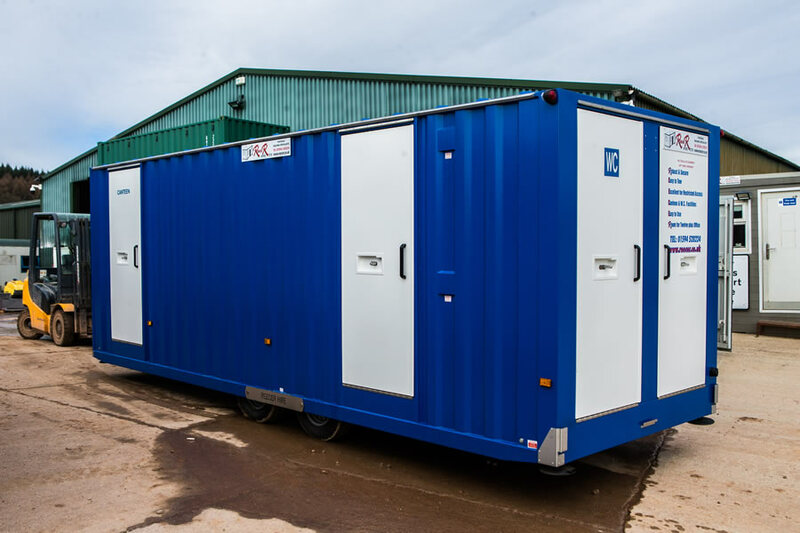 Available for long or short term hire as well as purchase, these units are often utilised as offices, canteens, WC blocks and exhibition units. 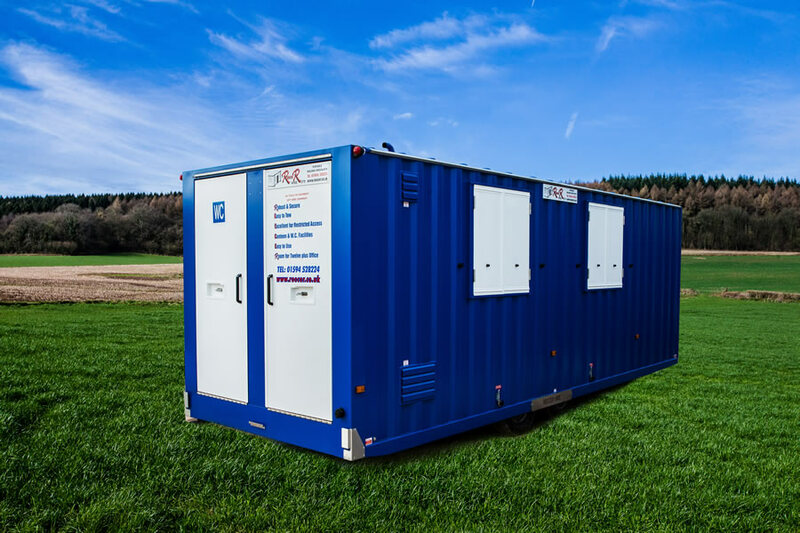 Completely self-contained with no external electricity or water supply required, these units are excellent for sites with restricted access as they are easy to tow and no specialist transport is required. 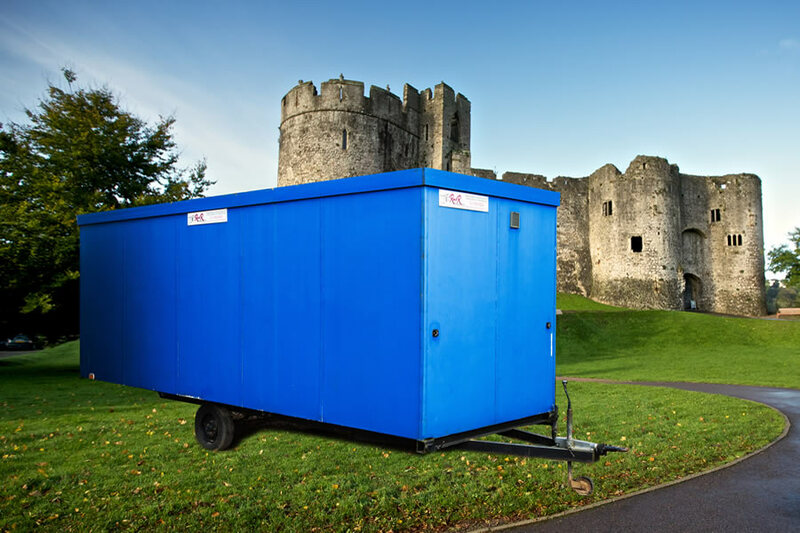 Sporting an anti-vandal design, they are perfect for non-secure sites. 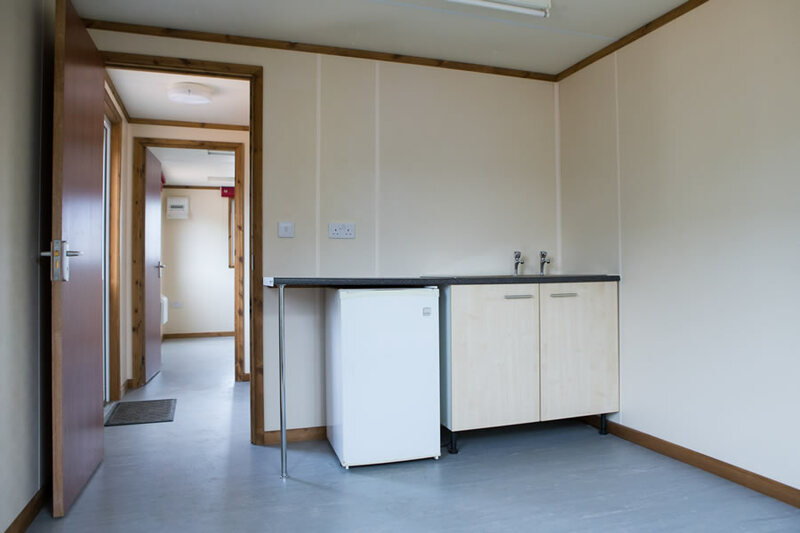 Even the smallest cabins can accommodate up to 6 people, with a kitchen that comes complete with microwave, 25 litre drinking water container, large sink, kettle, hot water unit with soap dispensers, fixed table and benches complete with storage, all powered by their very own super silent, user friendly generator. 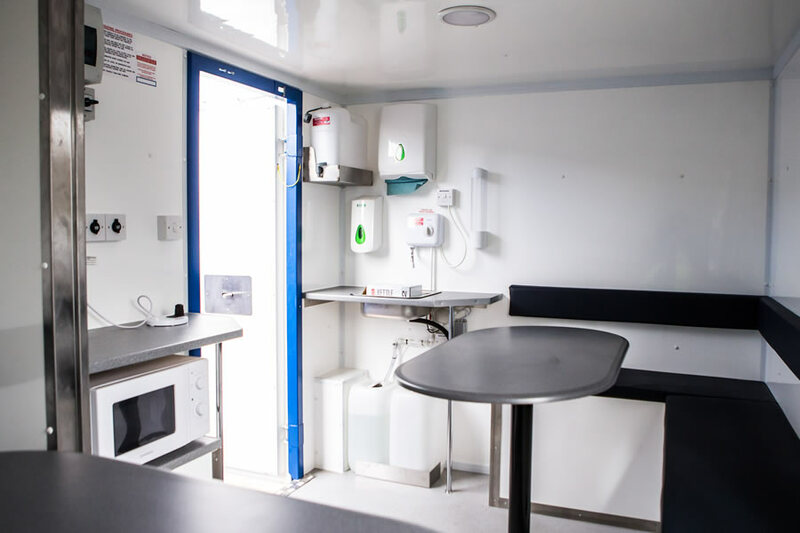 These 12, 16 or 24ft cabins are the TARDIS of the mobile unit world. 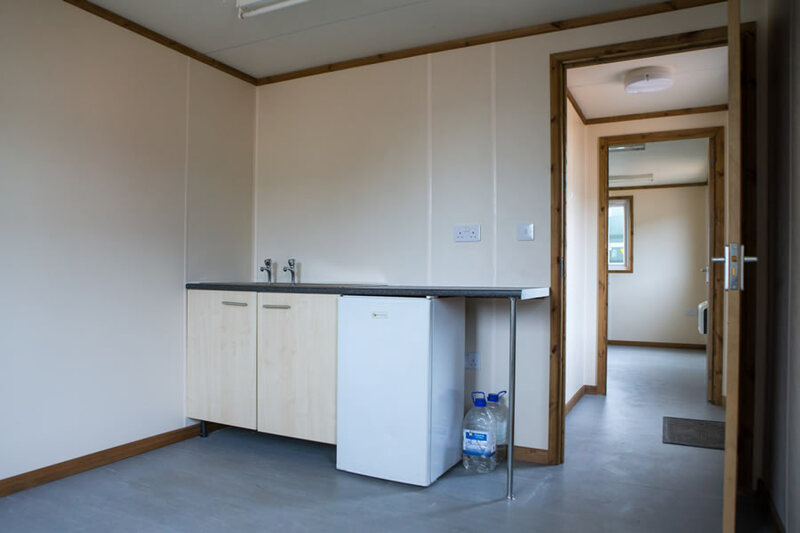 The WC is separate at the rear of the unit, with forearm and wrist washing facilities as well as a compact drying room adjacent to the WC. 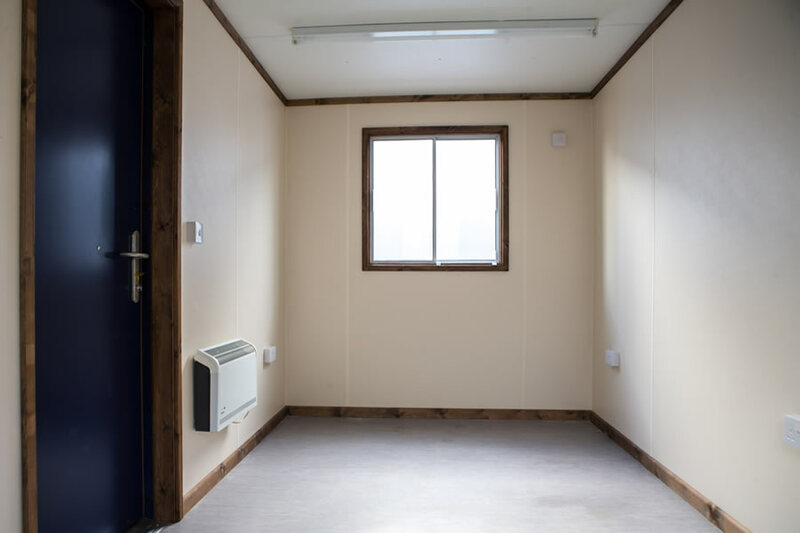 Larger 24 foot units add a separate office with desk, 800 litres of storage and accommodation for up to 15 people. 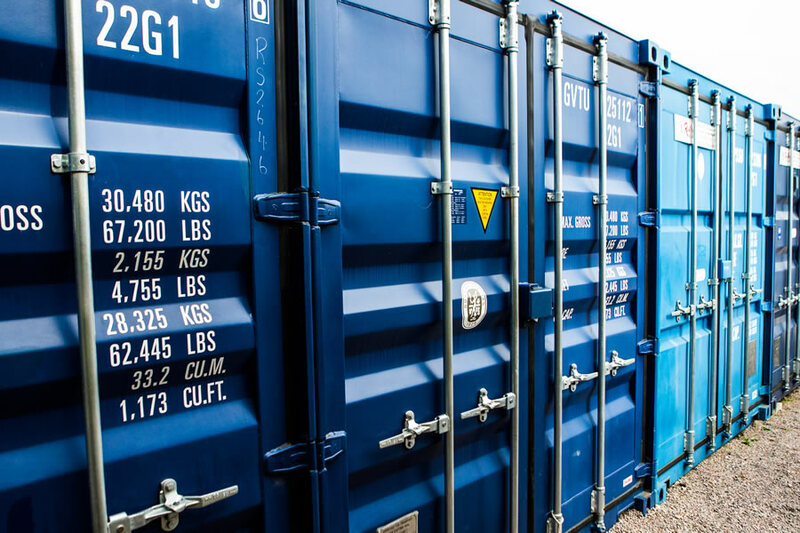 We have quality once-used 10, 20 and 40’ containers to store anything from farming equipment, tools and chemicals to furniture, available for sale and delivery nationwide, including special build containers. 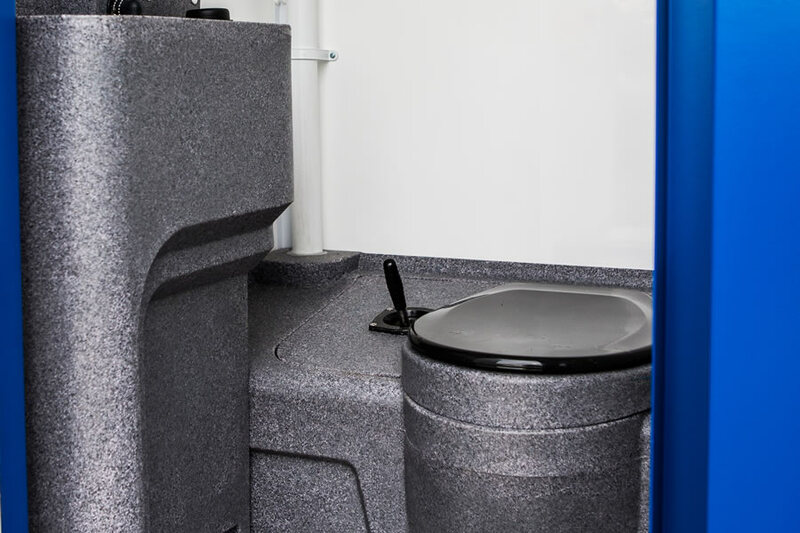 Many modifications are available for these water-tight units such as adding heating, insulation, electrics, racking, entry ramps, groundworks and foundations and pads. 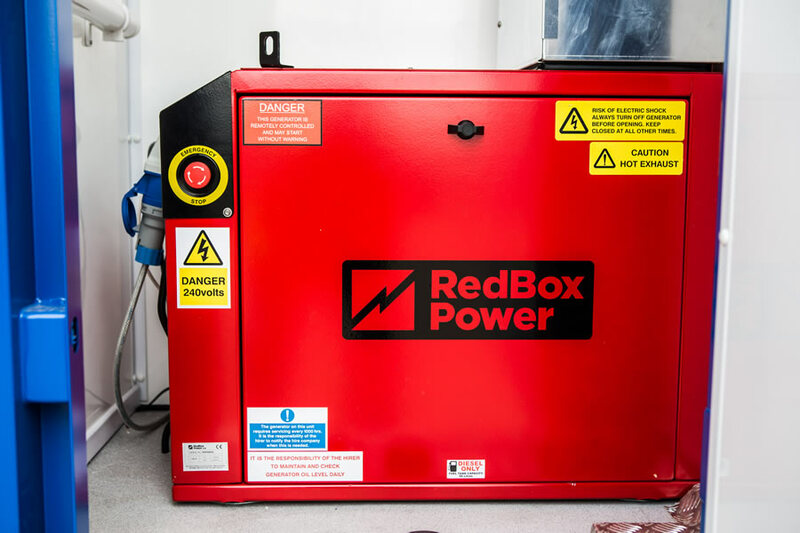 Let us take the stress out of your project with our full installation service.